Ace filmmaker Mani Ratnam visited a private hospital on Tuesday for a master health checkup and contrary to the rumours, he was not hospitalized due to cardiac problems. "Mani and his wife were holidaying in Delhi. A master health checkup was long overdue. He got it in done in a hospital in Delhi to avoid Chennai public eye," Mala Manyan, executive producer of Mani Ratnam's latest release "Ok Kanmani", told IANS on Wednesday. Director Mani Ratnam was hospitalised in Indraprastha Apollo Hospital on Tuesday late afternoon for cardiac problems. No further information was available, as the hospital sources and Ratnam’s family are refusing to comment on this. The reports say that the director is currently stable and there is nothing to worry. Media buzz says that Mani was holidaying at Srinagar and while playing golf, he is said to have suffered severe chest pain and discomfort. Meanwhile, we hear from our sources that the director had actually gone for a golf competition and admitted for an acidity problem. He was taken to Apollo Hospital in Delhi. Survived a heart attack in 2004 when filming the multi-starrer bi-lingual “Aayutha Ezhuthu” (Yuva). In past, Mani Ratnam reportedly had three cardiac attacks and two happened during the shooting of Aayutha Ezhuthu and Guru. Mani Ratnam’s recent film O Kadhal Kanmani has been declared as a hit venture at the box office and he had plans to start a Hindi film by the end of this year. When contacted, the hospital authorities said they had been asked not to give any further information but confirmed that the director was stable and sleeping. Doctors confirmed that he was under medical care, they refused to say whether he had been brought in following an accident or cardiac complaints. “The family doesn’t want information about his medical condition to be made public so we are not authorised to share any details,” said a hospital authority. 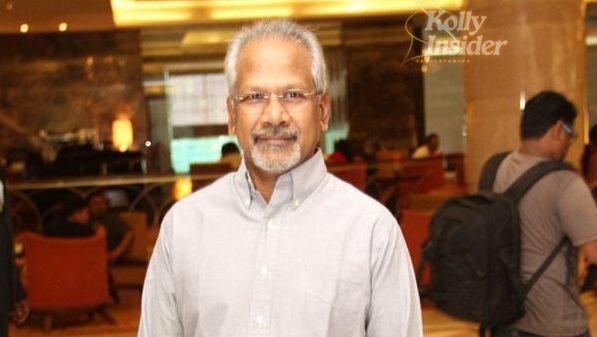 In his career spanning over more than three decades, Mani Ratnam has helmed around 20 movies. He is also credited for launching stars like musical maestro AR Rahman, actors Aishwarya Rai Bachchan, Aravind Swamy and R Madhavan among others.